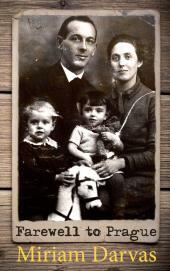 Miriam Darvas, at the age of six, witnesses a murder being committed by German storm troopers. From that moment, the happy life she has known disintegrates. Her family escapes to Prague, where they create a new life. Six years later the Germans march into Prague. Now she has to escape to England alone and on foot. She walks across the snowcovered Beskydy Mountains. By train, fishing boat, and ship, she finally manages to get to England, where she comes of age during the bombing of London. When the war ends she immediately returns to the Continent to discover the fate of her family. Farewell to Prague is a gripping true story that fascinates and inspires readers of all ages.